Showing 26 articles from January 20, 2016. Wine Festival entrance sign from 2015. 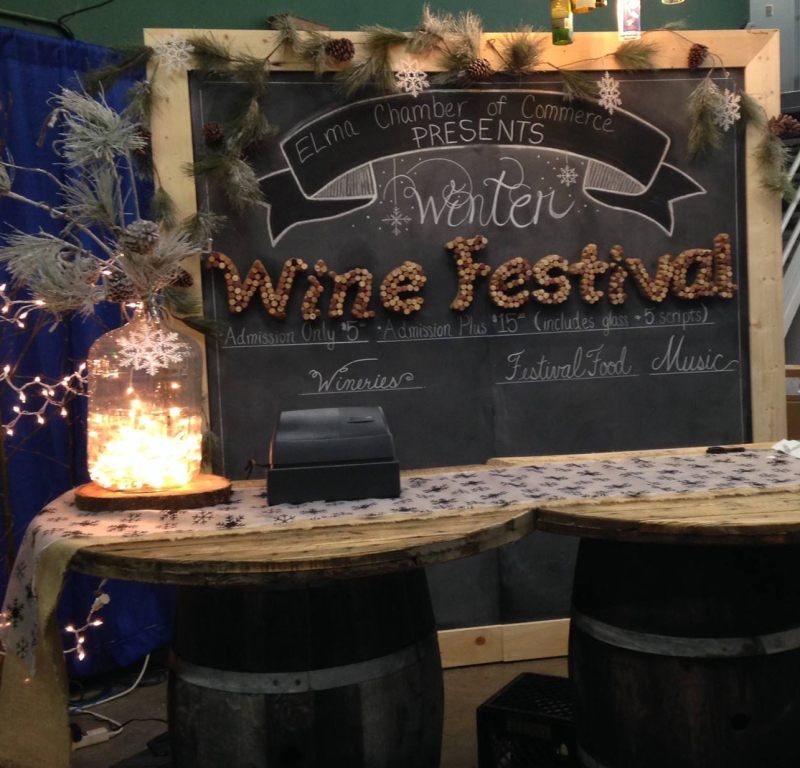 Elma Chamber of Commerce is hosting the 9th Annual Elma Chamber Winter wine Festival, on January 23, 2016 at the Grays Harbor Fair and Event Center in Elma. I just decided this week to tell you where I go in the second week each month. On Monday I attended the Willapa Chamber of Commerce meeting. 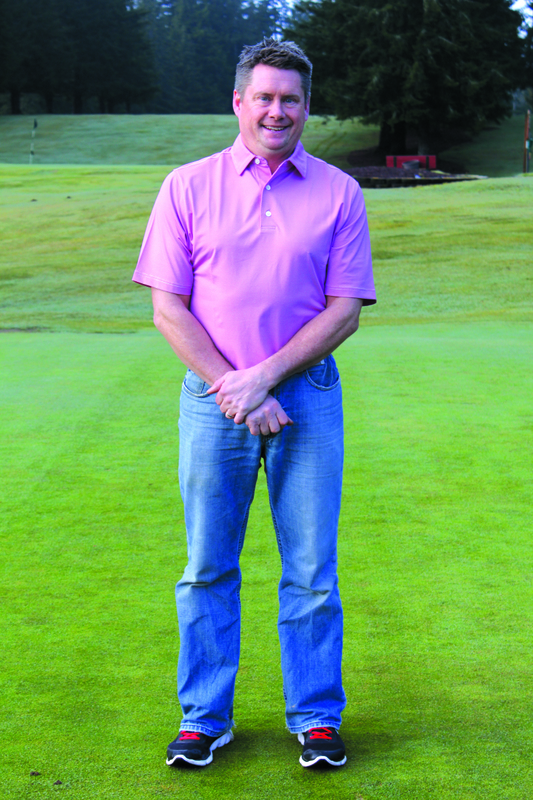 Ronnie Espedal is the new manager out at Highland Golf Course in Cosmopolis. Espedal grew up in Aberdeen, and learned to play golf when he was 12 years old. Espedal even played and learned on the Highland Golf Course when he was younger. " 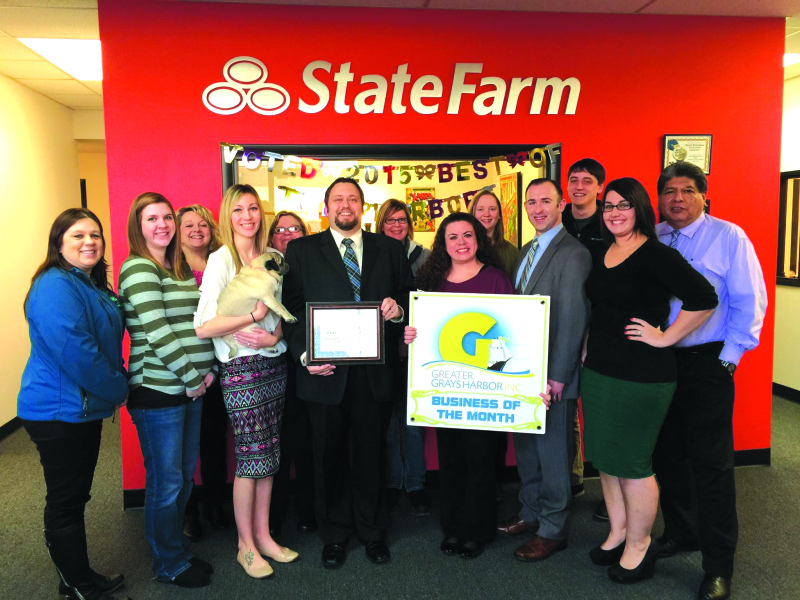 Greater Grays Harbor, Inc. would like to congratulate State Farm Agent David Steinman on being named Business of the Month. Mr. Steinman, a third generation "Harborite," has a long family history of business in Grays Harbor. 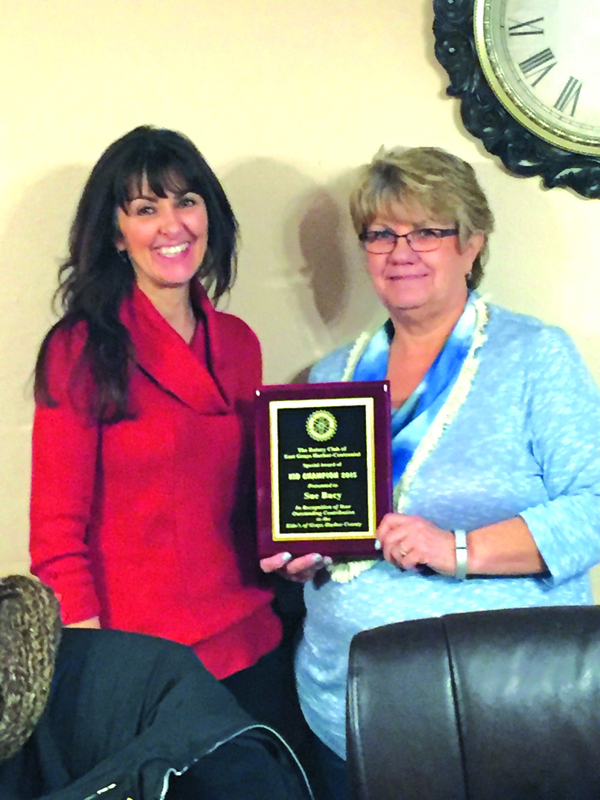 East county Rotary's outstanding Treasurer presented the Kid Champion of 2015 award to the Children's Advocacy Center of Grays Harbor Deputy Director, Sue Bucy. This award is given to outstanding workers with children. Sue has helped hundreds of children over 40 years. Pictured left to right: Vera McGuire, Regent, Maurita White, Chaplain. Inductees: Diane Carter, Kristi Beitzel, Susan Carter, Sandra Sterling, Barbara Carter. On January 7th 2016, the Robert Gray Chapter of the Daughters of the American Revolution, (D.A.R. ), in Hoquiam, WA, inducted 5 new members into their organization; Diane Carter, Kristi Beitzel, Susan Carter, Sandra Sterling and Barbara Sturm. Susan and Barbara are the daughters of long time member, Barbara Carter who stood in for daughter Barbara, a resident of Alaska, at this ceremony. Membership in this organization requires documented verification of direct lineal descent of an ancestor that was actively involved in the establishment of our great Nation. The DAR continually works to honor all these ancestors and to promote their ideals. We are always eager to welcome any other who can qualify into our fold. Owner of Shirt Image Embroidery Debi Luther has grown up in Hoquiam, and then lived there for 43 years. "I was born in one house, rented the house next to it and bought the house across the street from it," said Luther. 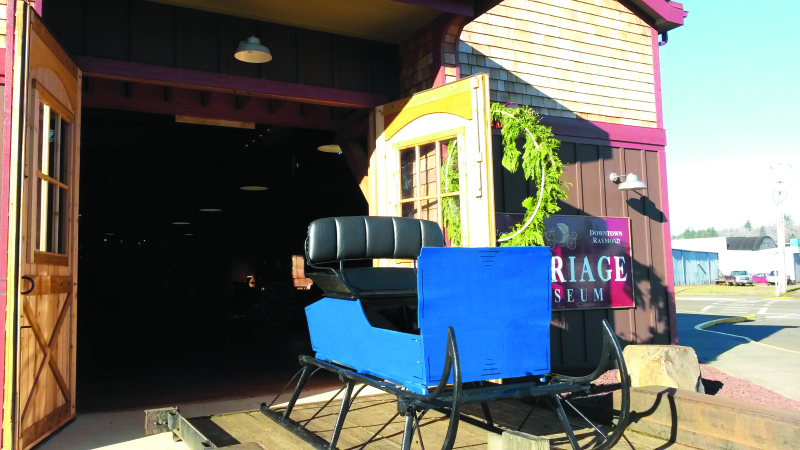 Simply Said Flowers in Hoquiam has been in Grays Harbor for almost three years, and has just recently moved to a new location over the holidays. 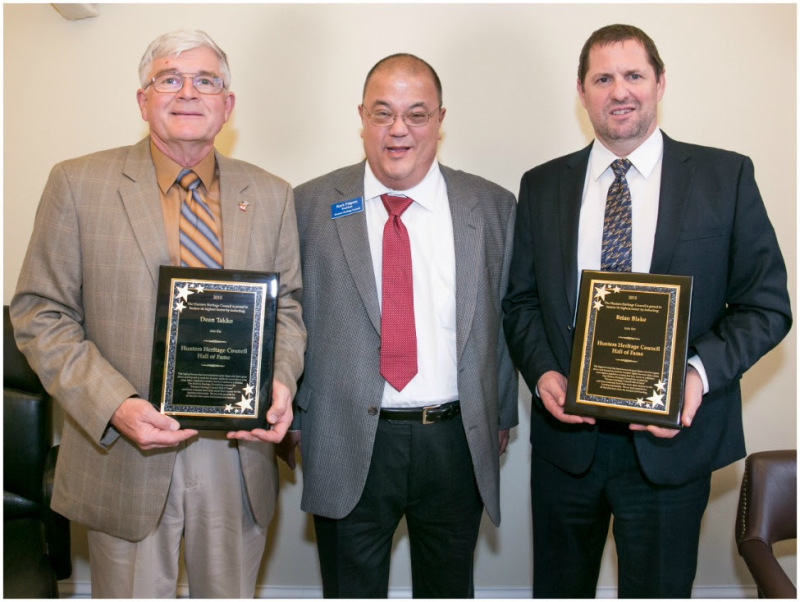 During the week of January 14, the Hunters Heritage Council inducted Sen. Dean Takko, D-Longview, and Rep. Brian Blake, D-Aberdeen, into the Hunters Heritage Council Hall of Fame. The application period for Centralia College scholarships is now open for the 2016-17 academic year. Centralia College will host monthly Paint Nights for the community starting Jan. 27. General membership meetings fro the Lewis County Democrats are held the 4th Thursday of each month excluding August September, November and December. 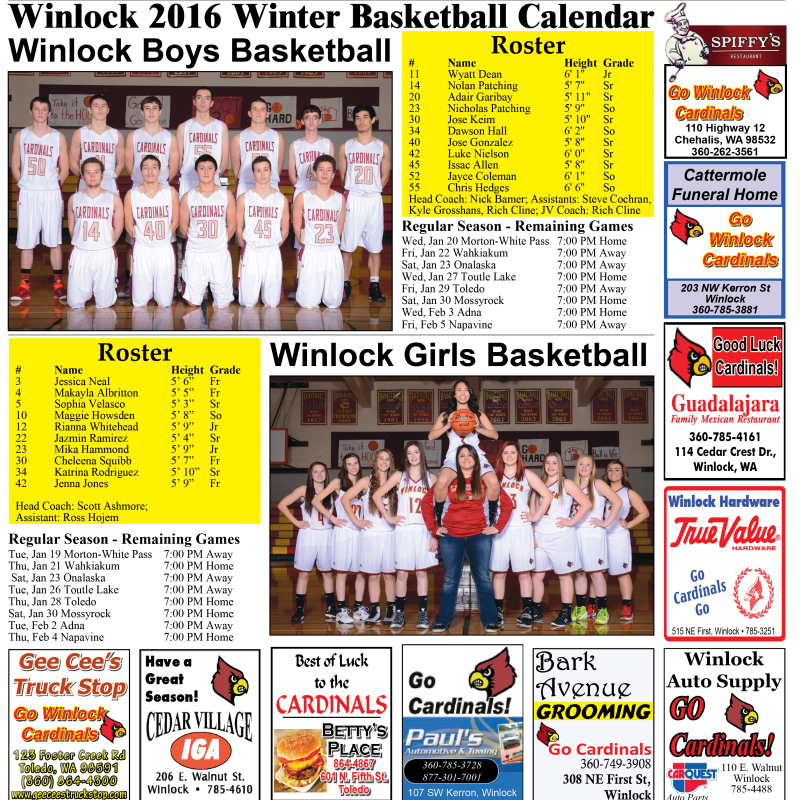 On the cold, winter night of January 11th, the Winlock City Council met for their biweekly meeting. With full attendance and determination of the quorum, the meeting could begin. Following the Approval of the Agenda the Council turned their attention to the Mayor and Council Reports. This is my last opportunity to invite readers to come out to Ryderwood on Thursday at 2 p.m. to watch the 1926 silent movie about the Long-Bell Lumber Company, the owner and developer of Longview and Ryderwood. As part of the AMVETS Ryderwood History Project, the movie will be shown in the Auditorium of Community Hall. In 1926, Ryderwood's "world's largest logging crew" provided the timber for Longview's "world's largest sawmill". At the time, all systems were very "high tech". Approximately 17,870 ballots will be mailed on Wednesday, January 20th to all active registered voters within the following districts for the February 9th Special Election: Chehalis School Dist. 302; Morton School Dist. 214; Napavine School Dist. 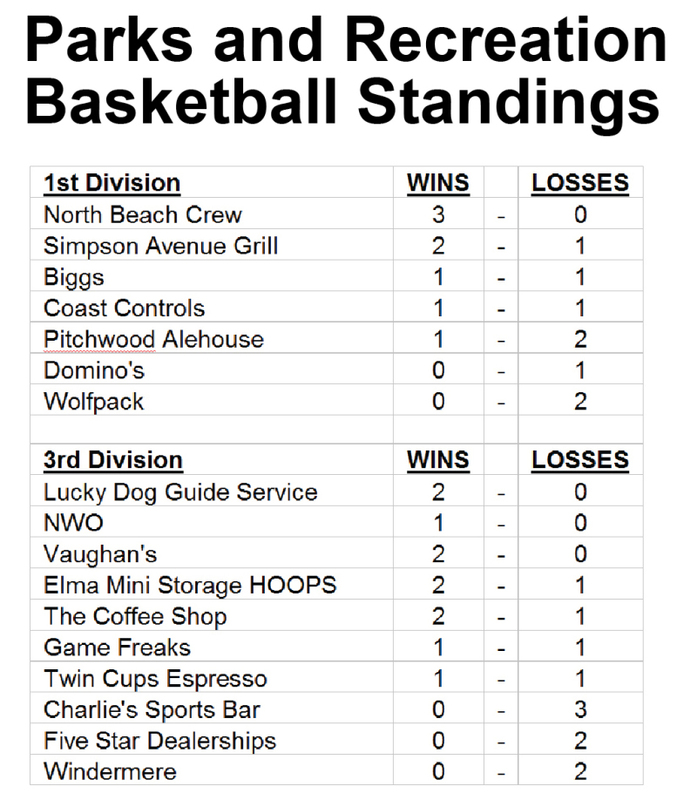 No 14; Oakville School Dist. 400; Onalaska School Dist. 300; Pe Ell School Dist. 301; and Rochester School Dist. No 401 and Fire Protection Dist. No 10-Packwood. January 12 vision: Toledo Arts, Rec and Events meeting reported progress on several fronts. Old biz: Community Library accepting suggestions for upcoming events. Timberland Regional Library Adult Winter Reading program offering fabulous prizes. For details on TRL Board of Trustees vacancy, contact Edna Fund, edna.fund@lewiscountywa.gov Historical Society offering "Early History of Toledo" booklets and Classic Cars calendars. New "Born in the Toledo Hospital" log established for people to register. Society meets January 25 at the Library. Vision:Toledo Holiday Lights Contest and Tour distributed over $1000 in prizes and gift certificates from 16 local businesses. Special thanks to Jean and Ed Borte, who provided the tour wagon, Toledo High School for the venue, and Thomas Campbell, wonderful piano playing. Water Tower construction slated to start late spring. Camp Singing Wind artists eager to begin mural on the structure. Rain-Snow-Ice that should describe our local weather! The kids had a couple late days for school, an accident or two and there was one nice snowman on Main Street constructed. For the first Vader City Council meeting of the year on January 14, the Council members met in the City Hall to discuss the matters of the New Year. Following the Call to Order, the Roll Call was taken and every member was in attendance. After the Pledge of Allegiance was led by Councilman Mark Fenison, the City Council moved to the Mayor's Report. Well, I must apologize for putting the wrong date and time for Bingo. Unfortunately the next bingo will be January 30th at 6:30pm at the Winlock Community building. The important thing about the bingo event every month is that the money goes back to the community building. So remember, there are refreshments that are served and you can come on down and enjoy meeting new people. I apologize for the confusion this has caused so lets make this the biggest month yet!! This year five representatives from the Winlock School District will be attending the National Title One Conference all the way in Houston Texas. In 2015 Lisa Collins and Kristy Iverson attended and this year they're taking more people with them. Traveling as the representatives are Superintendent Shannon Criss, and teachers Lisa Collins, Kristy Iverson, Aleta Beegle, and Rebecca Lemke.